Minority small business grants are financial incentives given to business owners who are considered minorities based on race, gender, personal status, or location. These grants are not loans – you don’t have to repay the funds once they’ve been awarded to you. Minority grants are typically funded by corporations or special interest groups, who have established goals to help specific minority groups. If you’re trying to fund a startup or buy a business, but not having any luck with banks, consider a ROBS. A ROBS lets you use money from your retirement account to fund your business without paying taxes or penalties. If you have $50K+ in retirement savings, sign up for our webinar to learn more and get a free one-on-one consultation. Finding the right small business grant for you can be difficult without the right resources. While government entities don’t provide grants to start or grow businesses, they do offer the best resources that could help you either find or apply for the right grants. These resources can also help your business in other ways, finding and applying for minority business loans. Under the direction of the U.S. Department of Commerce, the MBDA aims to help minority business owners or minorities wanting to become small business owners. The goal is to help grow the economy and build more jobs through giving more opportunities to minorities, who may not have had those opportunities. The MBDA has physical business centers all around the country that you can walk into and get the help you need. From sourcing loan information to legal or marketing help, these business centers want to help your business thrive. This includes helping identify grants that could be a good fit for your business and then helping through the application process. If you’re a socially- or economically-disadvantaged individual and own 51% of your business, then you could qualify for business development help with the SBA. The SBA doesn’t have any grants to help you build your business, but they can help you get a minority business loan or an SBA loan. 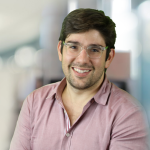 They can also help you find a mentor to help you through a number of different processes from launching a new product to implementing a lean manufacturing process. There are also some opportunities to find the help you need to identify grants that you qualify for, and to find a mentor that will help you successfully get through the application process. BusinessUSA is a comprehensive list of all government resources. You can use this database to find programs, grants, and other resources that are designed to help minority small business owners. You can find help to get the financing or growth help you need to take your business to the next level. You can find many of the best minority small business grants by using the government site Grants.gov. The website is a collection of grant opportunities and information that can help you build a better grant application package. Most of these grants, however, aren’t for starting or growing small businesses, but instead are more specific to research and product creation. You can find the contact information for the department in your state on the MBDA website. 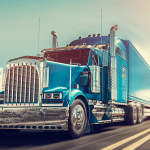 Small business owners whose businesses are within close proximity to major U.S. cities can also find opportunities and resources at the local level. We’ve also created an easy to use map where you can find the closest office to where you live. The resources above are great, but there isn’t a lot of other information out there on specific grants just for minorities. In fact, most other articles out there will send you to non-minority specific grants that anyone can apply for. The resources above will be your best shot to find the grant you’re looking for, but we’ve also included the five best grants you may qualify for below. FedEx aims to help strengthen small business innovation by awarding up to $50K in grants every year to product-focused small businesses. The largest grant in 2017 went to two women business owners out of Colorado that repurpose military surplus to help veterans. If you’re a minority with a cutting-edge product, this grant might be right for you. This corporate sponsored grant gives out up to $150K per year to up to 5 small business owners in urban markets. They’re looking for innovative products that can create jobs in these markets. The goal of the grant is to promote regional economic growth as well as the growth of business owners without opportunities. These are best for minorities that start their businesses in densely-populated markets. 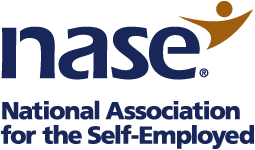 The National Association for the Self-Employed offers grants to small businesses for basic business expenses needed to get your startup off the ground. These funds are for things like computers, or other office equipment that is needed, and typically are for $5K or less. This grant is best for self-employed minority business owners. 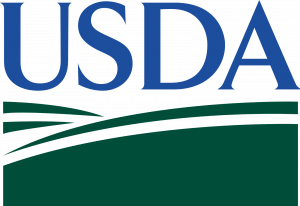 This grant awarded by the United States Department of Agriculture (USDA), is designed to help the expansion or creation of private businesses in rural areas. To qualify you must employ less than 50 employees, and have less than $1 million in gross revenue. This grant is given to provide you, the small business owner, with training or technical assistance in the development of your business. Unlike the Miller Lite grant, this is best for minorities in less populated areas. First Nations is a non-profit group that aims to help Native Americans, Alaska Natives, and Native Hawaiians. Not only do they have grant assistance programs to help you with your applications, but they also have many grant programs depending on which of the above groups you qualify for, and where you’re located. To get most small business grants, you need to follow specific instructions, because most grants will disqualify your application if you don’t follow their directions with exactness. The biggest problem is that generally, no two grants will have entirely the same application process, so some diligence will be required to make sure you’re doing everything the right way for each individual application. 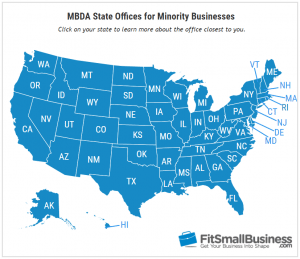 The first thing you want to do as a minority-owned business is to get certified as one by the Minority Business Enterprise (MBE). Not only will it help you get easier access to grants (and make the applications easier), but they provide some other benefits like business development assistance. If you need help getting certified, the Minority Chamber of Commerce can help you through the process. Most small business grants will ask you for a business plan. It’s better if you have written one in advance of looking for a grant. This is because it can be difficult enough to meet the deadlines that grants require without having to create a business plan from scratch. The business plan will be looked at as a roadmap for your organization. It should give everyone a piece of mind on the direction and longevity of the business. If you’re unfamiliar with how to write a business plan, you can read our ultimate guide. we suggest using a business plan software like LivePlan that can easily walk you through the process. When you’re applying for a minority small business grant, it’s important to include a section on how it will improve the economy and community within your business plan. The fact that you’re a minority owned business should also be a prominent part of your business plan. Finding the right grant that you both qualify for and are actually able to get can be difficult. A lot of grants only award one business or just a handful of businesses that apply. This means that the competition can be fierce, and you’ll likely need to research multiple grant programs before you apply to the one you have a shot at being awarded. Putting in the work to research the right grants is key to making sure you’re not wasting your time and that you’re maximizing your ability to get funded. There will typically be a lot of applicants who match the grant requirements perfectly. If you don’t match the requirements perfectly, your chances are pretty low that you’ll get that grant. At this point, you should be able to gather all of the necessary documentation and create any write-ups the grant application is asking for. For example, some grant applications may ask you to write 500 words on why your business is a fit for the goal of their grant. Others may ask you to provide an org chart. You should adjust your business plan for each application based on the grant requirements. You can think of it as making a pitch to an investor, where no two pitches should be the same. You want your business to appeal to the specific grant committee looking at your application every time, and each committee has different things they’re looking for. You typically can’t submit anything on these grant applications after the deadline passes, so you need to always be aware of that date. A best practice is to make sure you hit these dates by working backward. That means taking the application due date and working backward to step one in the application process, determining how much time is needed for each required task. This will help you budget the time you need to ensure you complete every required part of the application, so you don’t miss the deadline. You should apply as early as you can to increase your chances of getting your application more time with the committee that awards the money. If you don’t hear back from them within 1 week or less, follow up to confirm that they received your application. Things like this show that you’re eager to participate in their program, and it shows the committee that you’d make a good choice to represent their organization as the grant recipient. There are many different grants available to minority business owners but most of them are extremely specific about their qualification requirements. Most of these grants are either for specific research or for smaller grant amounts than most businesses are likely looking for. You’re most likely going to find grants you qualify for from either corporations or special interest groups. Many corporations are eager to build good press, improve their standing with their customers, help those in their industry, and receive potential tax write-offs. Offering grants to a specific group of people can help accomplish all of these things. Most of these grants are designed to attract large applicants, however, so they’re generally open to all minorities or all small businesses. This makes the competition much more fierce than other grants. Special interest groups, such as nonprofit organizations and national associations, generally offer grants to a group of minority business owners that qualify for their unique mission. For example, a national association of Hispanic business owners would offer grants specifically for businesses owned by Hispanics. While grants from corporations target a general group of businesses, special interest groups offer much more targeted grants that aim to help a very specific minority group. These groups are where you’ll typically see a lot of private money being poured into businesses by wealthy individuals. These opportunities typically aren’t advertised and are difficult to find unless you’re well connected within these specific special interest groups. The government is the first place most small business owners turn to when they want to find a grant for their business. Unfortunately, the grants offered by the government aren’t going to help the needs of most minority-owned small businesses. The federal government does not provide grants for starting or expanding a business. This is why they won’t likely be a good grant option for most minority business owners. The grants offered by the government are typically used to perform research or to develop specific products that will benefit a goal of a particular government agency. The government does offer many great programs that can help all small business owners with many aspects of business outside of funding. These programs range from finding a grant that will work for you, to teaching you proper accounting methods. Minority small business grants can be a good source of capital to groups of individuals who typically receive less financing than others. However, finding the right one can take a lot of research and the entire process can be lengthy, before you even know if you’re getting any money. It’s worth it if you get funded by the grant but there are no guarantees that will happen. There are financing options that can be easier than going through the grant application process. A ROBS, for instance, is a good way to finance your business without incurring any debt. Instead, it rolls funds from your 401k or IRA account over into your business without requiring you to pay taxes or withdrawal fees. You can learn more by viewing our free ROBS webinar. If you’re interested in an equipment loan, please fill out the form on the sidebar of this page: https://fitsmallbusiness.com/minority-small-business-grants/. A loan specialist will contact you to discuss your options.